Just wanted to share with our group. Saw this out our window this while talking on the phone. It went right past our house and landed 2 streets up from us. What a sight to see first thing in the morning!! @SBryanW thought you would enjoy this. I thought he hadn't been on for a while. Still missing the Tuesday night videos. 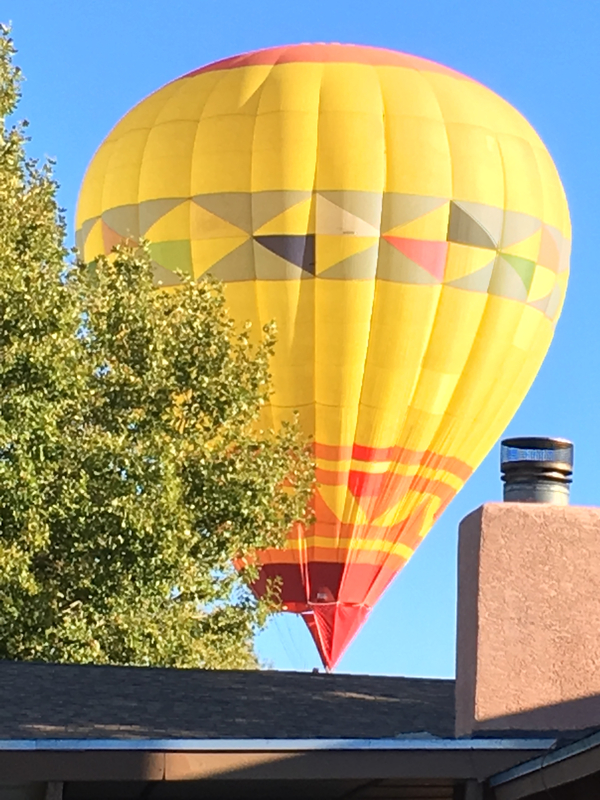 Was hoping he would be out this way some year for the Balloon Fiesta. SusanBluerobot has came to the fiesta this year. We are going to have lunch on Tuesday. @Penny - that is awesome, give her a hug from me!! I will. Hopefully she has a good visit. We are having some winds coming in so not sure if the balloons will be able to lift off tomorrow. You got great photos! So beautiful. Thanks for sharing with us. Never have. Would love to but I do not like heights. I fell 3 stories one time and that did it for me. Once, a very long time ago! We had to get up in the middle of the night to be there to launch very early in the morning. 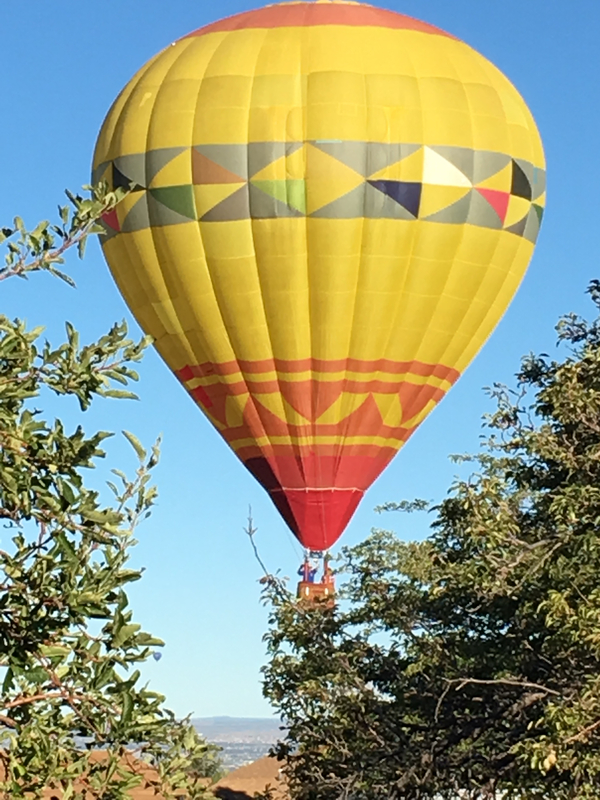 Someone told me that there are only 8 balloons left in the whole of our province...used to be that you would see a dozen or more early in the morning coming up out of our river valley. Very cool! Oh yes, I remember getting up "early". They had to cancel the launch today. Too high of winds in the upper atmosphere. Last night they had to cancel the Balloon Glow due to surface winds. Looks like it will not be the best year for our balloon fiesta this year. We have about 500 plus balloons here each year. I love seeing the Special Shapes. They are so neat. Yes I love the shaped balloons too! 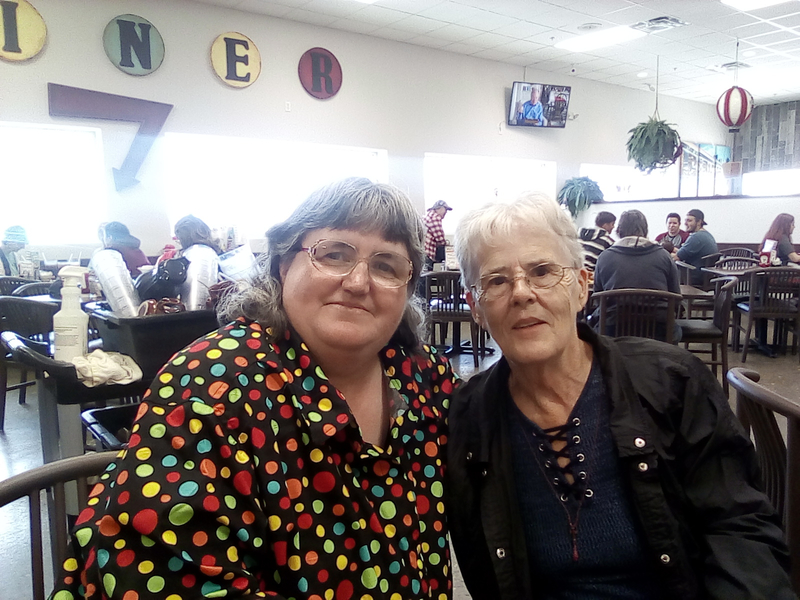 @Liz_A ; Just wanted to let you know that we had lunch with Susan and her husband. Had a wonderful time. I told her that you said Hi and for me to give her a big hug from you. They are having a good time. The weather here has not been the best for our balloon fiesta but they are still enjoying it. They went up in a balloon ride on Sunday. Susan said it was on her "Bucket List." Had the most wonderful afternoon meeting up with Penny and her husband. Must have been good as the restrau t was cleaning up around us and we were still there 45 minutes after closing time. > Anyone Been Ballooning ?